Clarkstoncalendar.org is a joint project between the Charter Township of Independence, Clarkston Area Chamber of Commerce and Clarkston Community Schools. Started in January 2003, the goal of this online calendar is to provide a user friendly, up-to-date calendar of all community events. 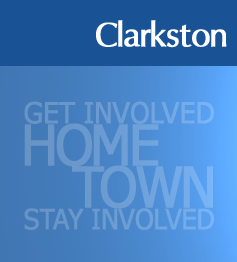 We hope that Clarkstoncalendar.org helps keep our community informed about local events, government meetings and area activities. MY HABITAT CLARKSTON is a grassroots movement of Clarkston-area residents, community organizations, churches and businesses committed to building a better “habitat” for all by collaboratively and voluntarily participating in community-based service projects – big or small. My Habitat Clarkston will be the clearinghouse for community projects and our community’s volunteers. OUR VISION IS THAT NO MEMBER OF OUR COMMUNITY WILL BE WITHOUT RESOURCES TO SERVE OR BE SERVED. There are no events scheduled for the selected dates. Disclaimer: Dates posted on this website are accurate when posted, but information may change after posting. If you are interested in attending any of these events, please contact the hosting organization to confirm date, time and location. ©2012 Clarkston Calendar. All Rights Reserved.